The thing is, it’s an action movie. 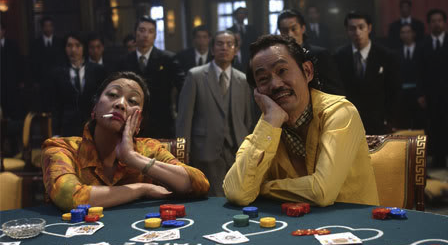 The first time you watch Kung Fu Hustle, you’re so besotted by its bizarre blend of influences – its giddy, promiscuous embrace of every possible style and genre – that you might find yourself forgetting what conventions lie at its core. At heart, this is a kickass kung fu movie with highly imaginative, extremely stylized fight sequences. It’s fun. It’s joyful. It’s mythic. And at the end of the day, it’s surprisingly resonant in spite of its goofiness. In short, a bizarre treasure.